Menswear for AW18 falls, for the most part, into two very distinct categories. Firstly, a return to cosy comforts with a luxurious twist. Secondly, the emergence of heavy-duty workwear and streetwear. Here are some of the key trends for the upcoming season. If ever there was an example of the circularity of fashion, it is the recent influx of corduroy. For many, this will be reminiscent of childhood, or else considered only something you would buy for your grandad. But it’s time to think again. Corduroy is here to stay for AW18, but it has undergone something of a metamorphosis. Thanks to young designers such as Alex Mullins, it’s notably cool again. COS makes some great pairs of cropped length, tapered-fit cord trousers which are much more flattering than your average. Team with grey socks and trainers for an instant update to traditional cords. 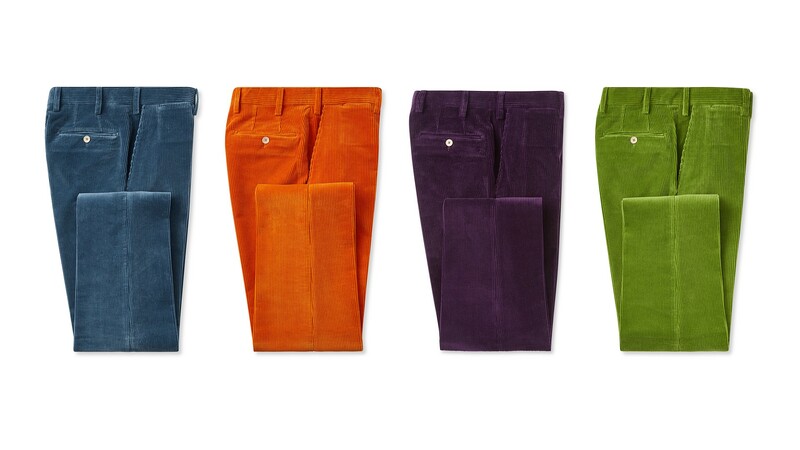 New & Lingwood has launched a new collection [pictured] of Rust Wode corduroy trousers tailored from a luxurious, heavier weight, Italian cord in a medium wale. Check emerged as one of the biggest looks in both the womenswear and menswear shows, which for the former signalled a nod to 1980s power-dressing and a playful take on masculine tailoring. For their menswear presentations, Versace and Kenzo placed an emphasis on check and tartan, taking this relatively classic pattern and unapologetically placing it centre stage in their collections. Every guy probably has some element of check in his wardrobe, but for AW18, consider elevating it a level and opting for a bolder interpretation. Cult streetwear label Rhude provides a great entry-point into the trend (£195 for a jacket) – or for something at the higher end, try a checked wool-blend blouson jacket from Thom Browne. You really can’t enter the coming season without a pair of statement boots. Virtually every designer featured a pair on their AW18 catwalks; from hiking boots at Armani and MSGM to the overtly dramatic offerings at Versace – it is the season to make a bold statement with your footwear. The desert boots from Prada are certainly not cheap, but they will take you right through to next spring (cost-per-wear, they’re worth it, I promise). With a double-platform rubber sole, they are right on-trend, but the brogue perforations give them a more grown-up feel to create a boot that feels both classic and contemporary. They will look great with some tapered jeans, a tee, and an over-shirt, or can be worn smarter with cropped trousers and a basic crew-neck sweater. Closer to home, Northamptonshire manufacturer Crockett & Jones is fusing Japanese streetwear with old-school British craft in its new Black Editions collection. 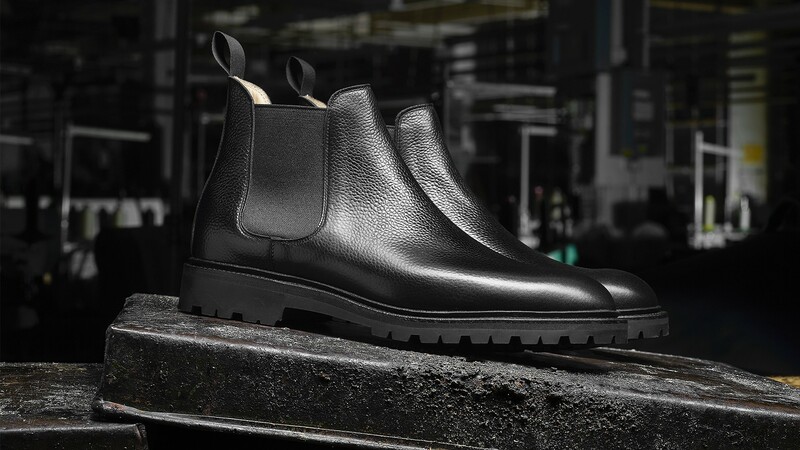 These Chelsea boots are given a catwalk twist courtesy of chunky rubber soles. Kim Jones’ final collection for Louis Vuitton made a strong case for utility wear, featuring pieces inspired by a desire for exploration, designed to travel well. MSGM also gave a nod to the trend, with several uniform-like pieces that ostensibly paid homage to the American worker. The real beauty of utility-driven apparel is undoubtedly the practicality. While some may steer clear of the more dramatic interpretation, it’s a trend that can work for all ages. 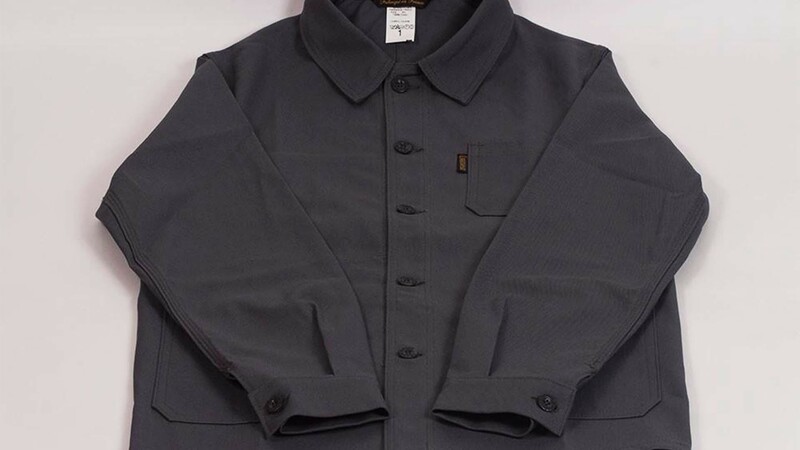 The most versatile iteration of the utilitarian trend is the workwear jacket, originally associated with French labourers. Make like famed photographer Bill Cunningham in a classic version from The Shopkeeper Store (£130) for an effortlessly cool, yet timeless nod to the trend.